Civitella in Valdichiana, perched on a top of a hill at 500 m above sea level, already existed as a settlement in the Etruscan-Roman ages. It then became a stronghold of the Longobardi for its considerably high position that gave the ability to control large areas. There was built the Castle, with its peculiar split tower destroyed by Allied bombing during World War II, which is still visible. The historical village and Castle, beautiful and charming to visit, were built in 1048 and surrounded by an imposing city walls. In the village there is the Praetorian Palace dating back to the 14th century, the ancient cistern, located right in the center of the hamlet and the Church of Santa Maria Assunta with origins of the 11th century but completed in Romanesque style in 1252, which holds within it a precious tabernacle with a majolica with the image of the Madonna and Child of Della Robbia school. 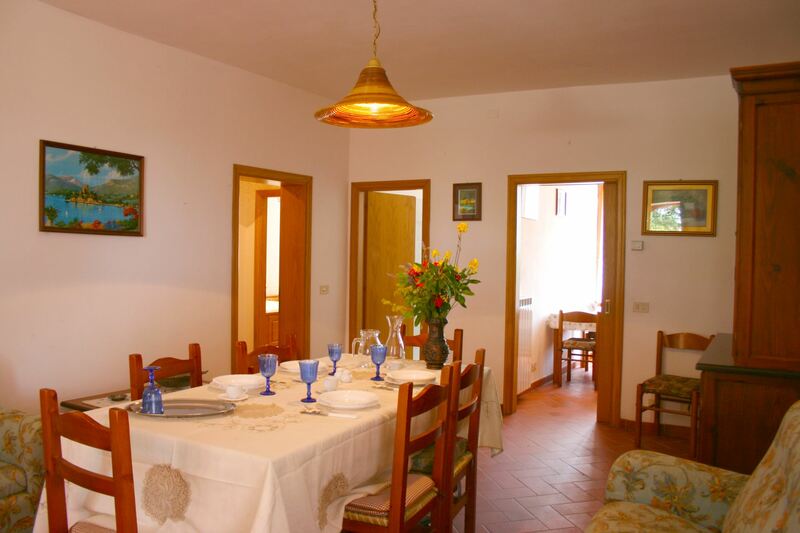 Apartment for 3 persons on two levels, in a luxury farmhouse. 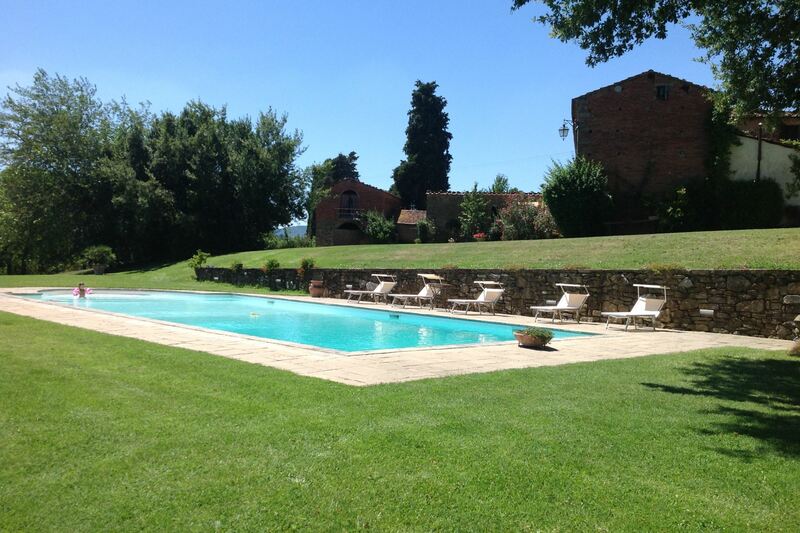 Near Civitella in Valdichiana, swimming pool, tennis court, golf course. Ground-floor apartment accessible by wheelchair, in a beautiful farmhouse with swimming pool, tennis court and golf course. Apartment for 4 people on two levels in a luxury farmhouse. 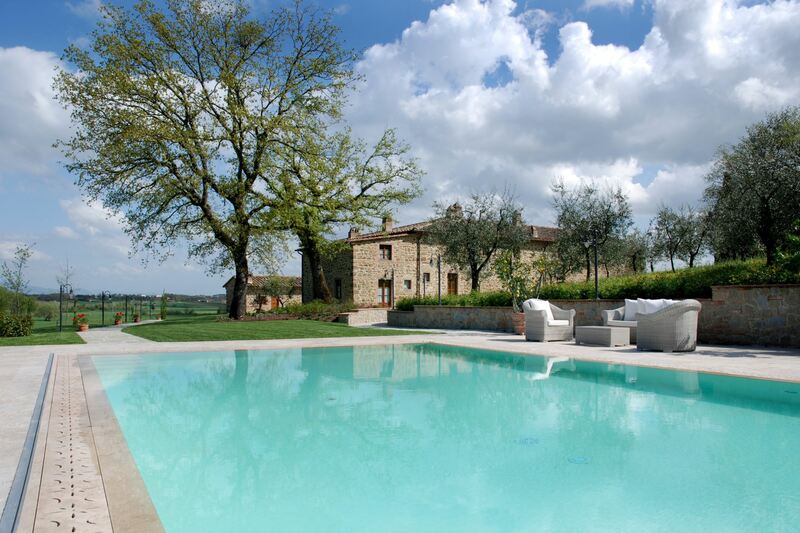 Swimming pool, tennis court, golf course, not far from the village of Civitella in Valdichiana. Apartment on ground floor for 4 persons, in a luxury farmhouse with swimming pool, tennis court and golf course. First floor apartment for 4 persons in a luxury farmhouse. 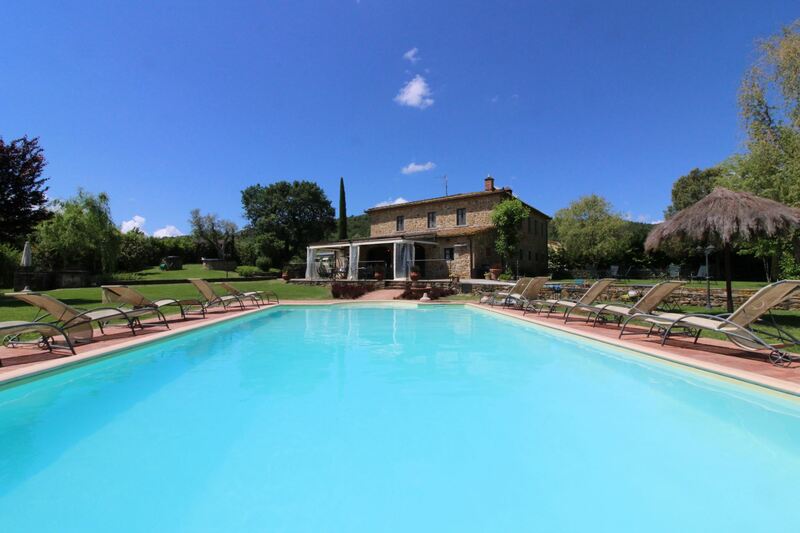 Near Civitella in Valdichiana, swimming pool, tennis court and golf course. Ground floor apartment for 4 persons, with mezzanine bedroom, luxury farmhouse, swimming pool, tennis court and golf course. Near Civitella in Valdichiana. 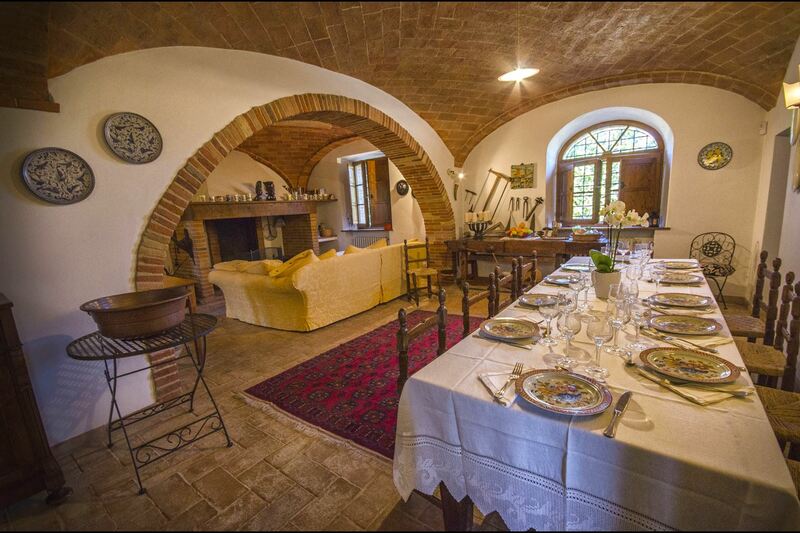 Lovely villa just outside the village of Ciggiano which is at walking distance, Monte San Savino is 6 km away. Private garden, wide equipment, pets welcome. 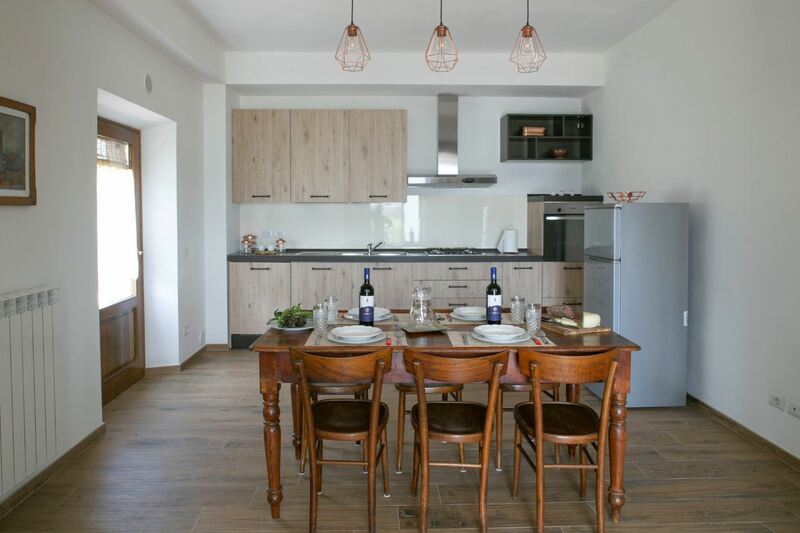 First floor apartment for 6 persons in a luxury farmhouse. 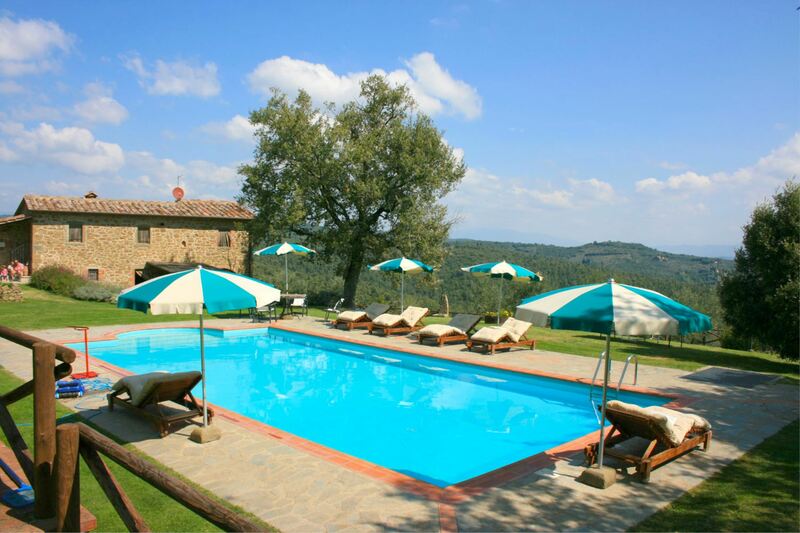 Near Civitella in Valdichiana, swimming pool, tennis court and golf course. 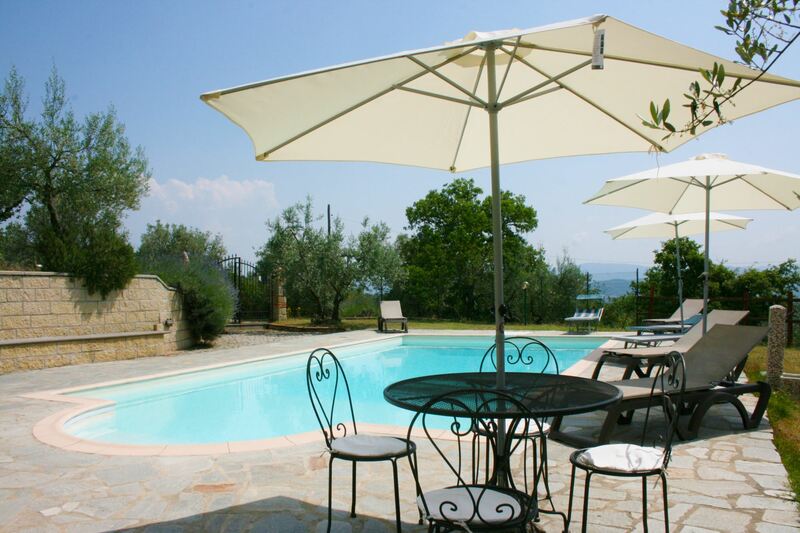 Vacation villa with private pool for 8 persons near Civitella in Valdichiana. Large and panoramic garden, free Wi-Fi, table tennis, play area for children and bikes. Villa for 9 persons with private, fenced pool, located in a panoramic and secluded position. Free Wi-Fi. Pets allowed. A few km away from the city of Arezzo. Villa with private pool for 10 people, 4 bedrooms and 3 bathrooms. 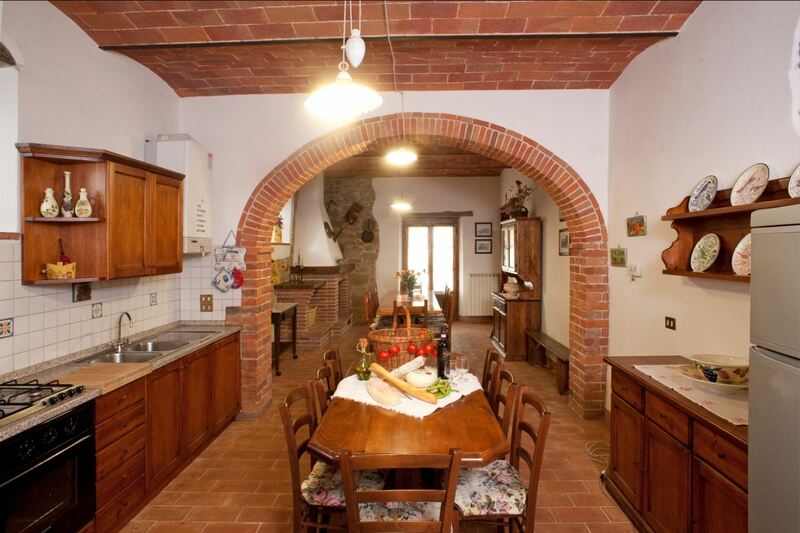 In a quiet and panoramic position, near Arezzo. The village of Civitella in Valdichiana is about 3 km away. 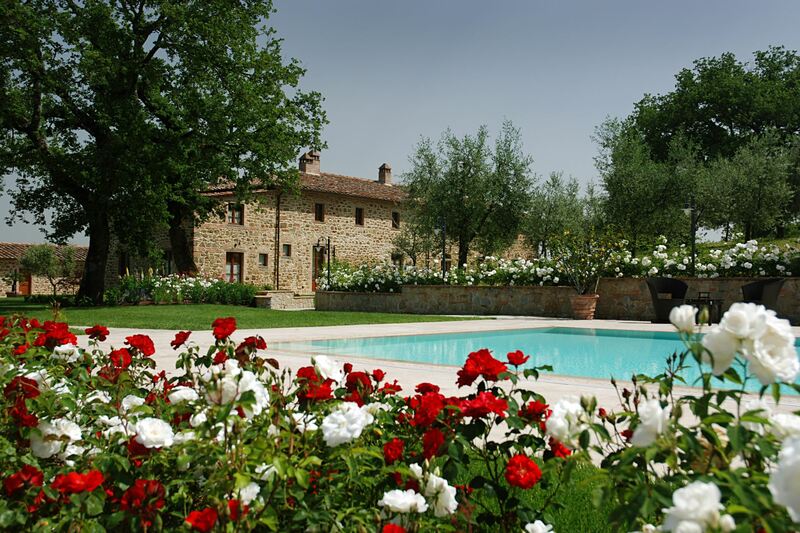 Vacation villa with private pool for 16 / 20 persons near Civitella in Valdichiana. Large garden, play-ground for children, table tennis, barbecue and free Wi-Fi access at disposal. Luxury villa with private pool, tennis court and golf. Ideal for family reunions can comfortably accommodate 33 persons. Panoramic position close by Arezzo and Monte San Savino. Price all inclusive.